Use a 1 to 2 % of solution for soaking your seeds. So 1.28 oz to 2.56 oz per gallon dilution ration max. so there will be enough for them to soak and have some left over. Application times If in an intensive operation, use twice to three times per crop. Dilution Choices: Always dilute the Ormus with water prior to use. Use at a concentration at or less than 1% strength. 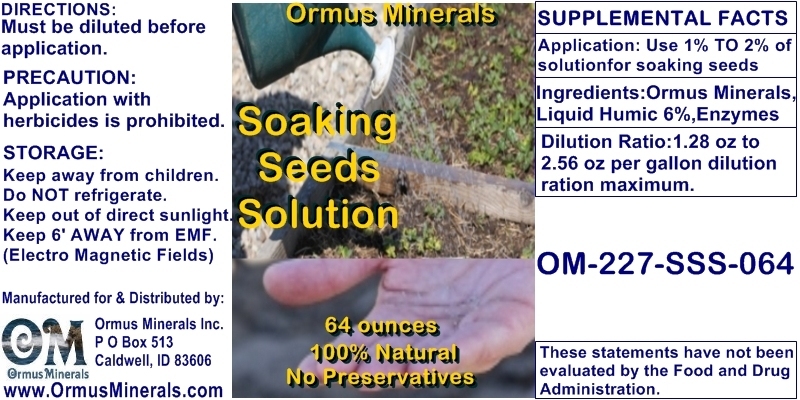 One gallon of Ormus added to 128 gallons of water equals a 1% solution.